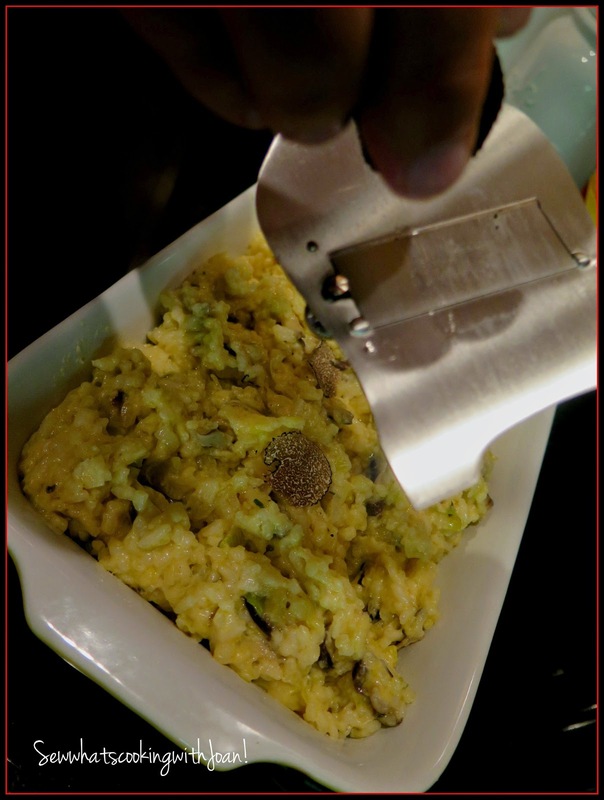 The truffle is well-loved in our family and gets featured quite often, when any one of us can get our hands on them. 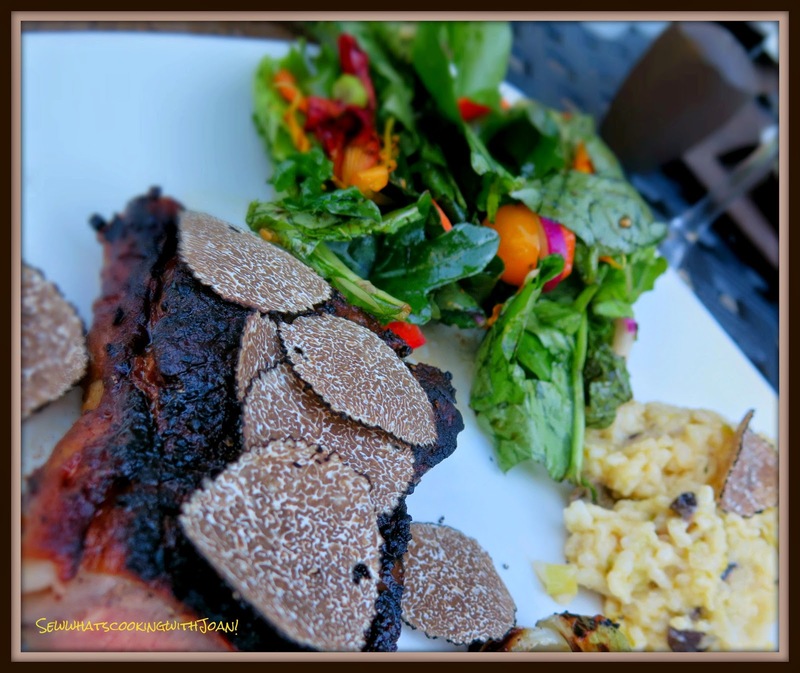 My daughter-in-law, Amy and son Dustin were able to purchase a black truffle at the Seattle Public market last week and oh boy, did we have a feast!! 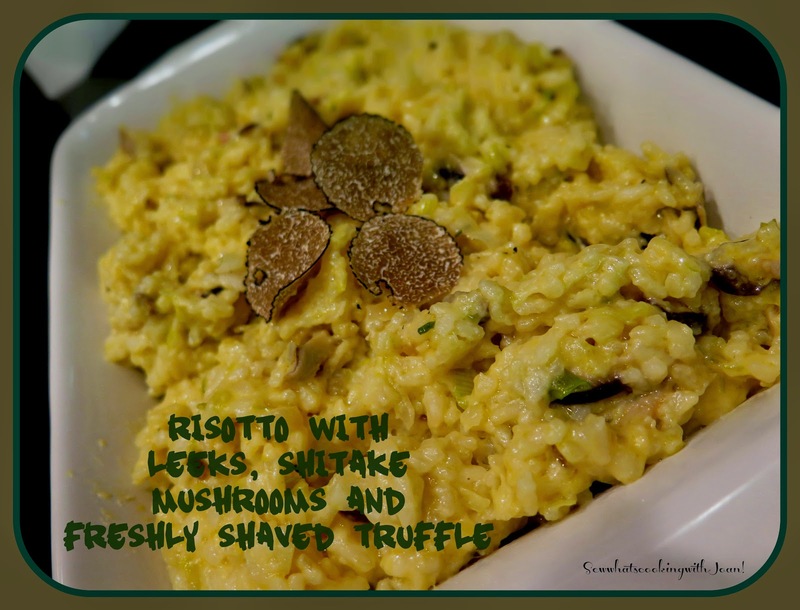 Dustin shaved the fresh truffle over his perfectly grilled steaks and I created a new risotto using shitake mushrooms, shallots and leeks. Making mushrooms and truffle the hero of your dish means big bang for your buck because they were made to ooze flavor, and are best friends with good old staples such as pasta, risotto and ciabatta. And also, risotto is made for feeding people you love, and that’s just what we needed when we had a merry rabble of family round for dinner and a Seahawks game on Sunday afternoon. 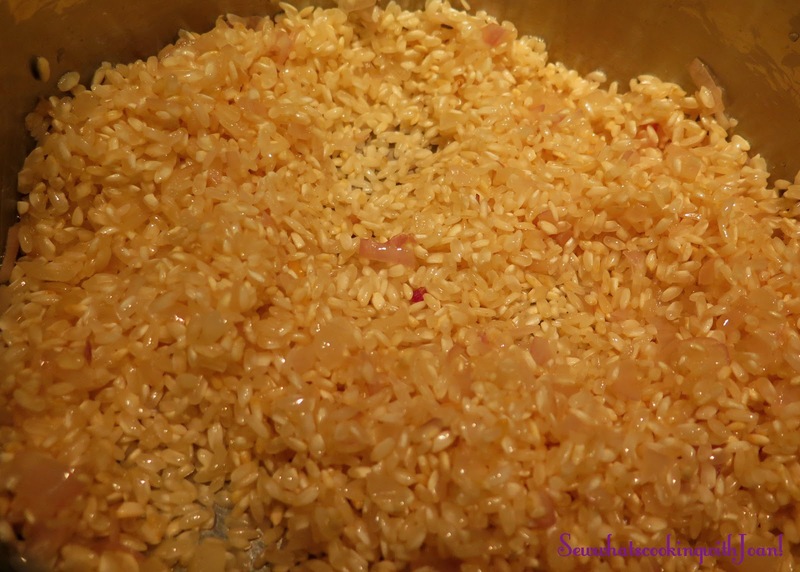 The unfortunate thing about risottos is you can prep up all the way to the cooking of the rice but once this starts, you have to devote a half hour and lots of patience to turn out a good risotto. When I serve I usually have a nice glass of wine close by. In any event, don't ever try to serve risotto for more than 6-8 people, as most pans are only big enough for 6-8 servings. Get all your sauteing out of the way, bring the stock to a rolling boil and the rest is a lot of arm work. But when you are finished, you will have one of the most delightful dishes on earth! If you are serving as a main course, a simple salad, some bread sticks and a Sauvignon Blanc is all you need as accompaniments. Bring leeks and cream to a boil in a heavy saucepan. Reduce heat to simmer until the leeks are tender and cream is thick, stir often. Season to taste. This can be done a day ahead or morning of. 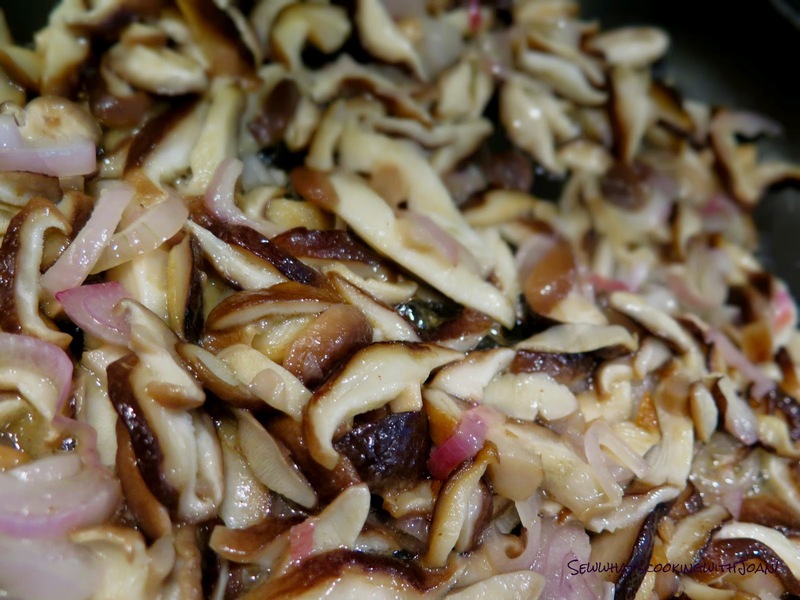 Melt 2 tablespoons of butter in a sauce pan and saute the mushrooms and shallots together until soft and mushrooms start to brown. Remove from heat add the truffle oil and thyme leaves. Melt 2 tablespoons butter in heavy large saucepan over medium heat. Add shallots and cook until softened, about 5 minutes add the rice, stir one minute. 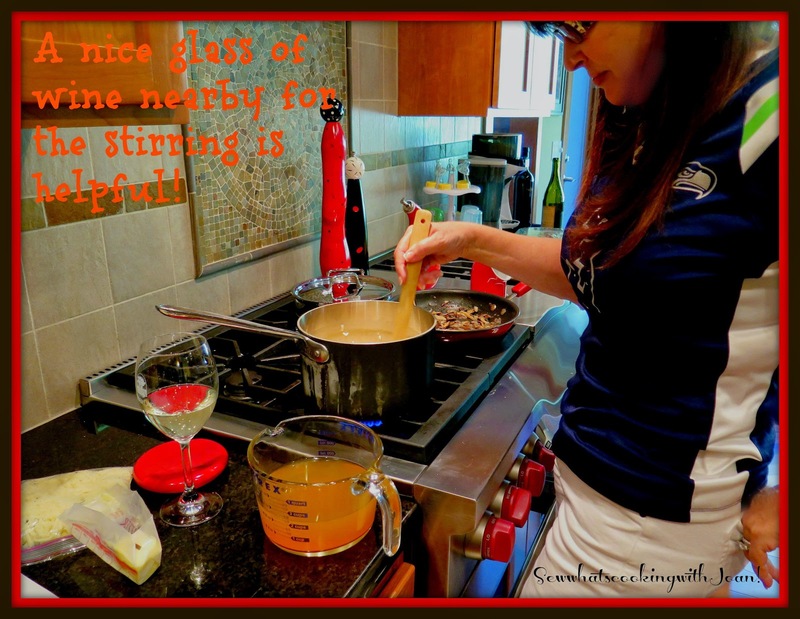 Add the wine and stir until almost absorbed, about a minute. Add one cup of hot broth. Simmer until broth is absorbed, stirring consistently, add more broth, about 1 cup at a time and continue to stir until each cup of broth is completely absorbed. Continue this process until the rice is tender and mixture is creamy about 20 minutes after last cup of broth is absorbed. Check by tasting, you should NOT feel a hard bit in the center of the rice. Stir in the leek mixture, mushroom mixture, remaining 2 tablespoons of butter, cheese. Garnish with freshly shaved truffle. Thank you for sharing your truffle with us! It was amazing!! 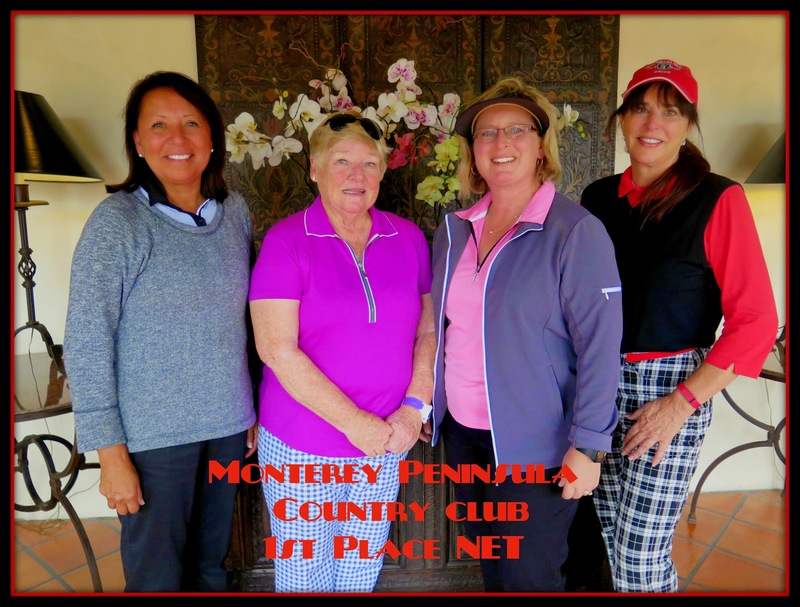 The results of last weeks tournament! We had a great time and came out very well!